Wireless communications devices such as mobile phones, cordless phone sets, handheld two-way radios and mobile two-way radios consist of a transceiver as their base design. A transceiver is a combination of transmitter and receiver in a single package. It is therefore necessary to test both the transmitting and receiving capability of the radios. It is also necessary to convert the test specification into an automated system for both R&D and production to characterize the design as well as to speed up the testing processes. Manufacturers of such devices need to test huge quantites of radios with great accuracy. In order to achieve these requirements, a simple and flexible automated solution using a high-performance radio tester with user-friendly automation software offers the best solution. 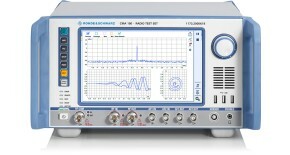 The R&S®CMA180 is a unique radio tester that operates in the 100 kHz to 3 GHz range, covering the frequency ranges of most commercial transceivers. 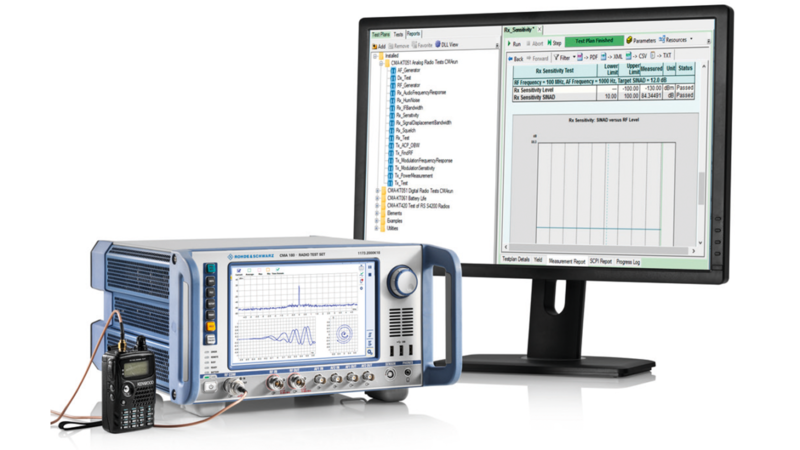 The technology behind the R&S®CMA180 is based on advanced digital signal processing and computing to enable fast measurements and high accuracy. It supports the FM, AM and PM analog standards as well as digital standards such as APCO, DMR and many more. Together with intuitive operation and efficient measurement capabilities, the R&S®CMA180 is an indispensable tool for performing radio measurements. To simplify testing, R&S®CMArun is used to automate the measurements performed by the R&S®CMA180. This flexible and user-friendly software allows user to freely configure the test setup to characterize their device under test (DUT). R&S®CMArun can be installed on an external PC and controls the R&S®CMA180 radio tester via LAN, GPIB or USB. 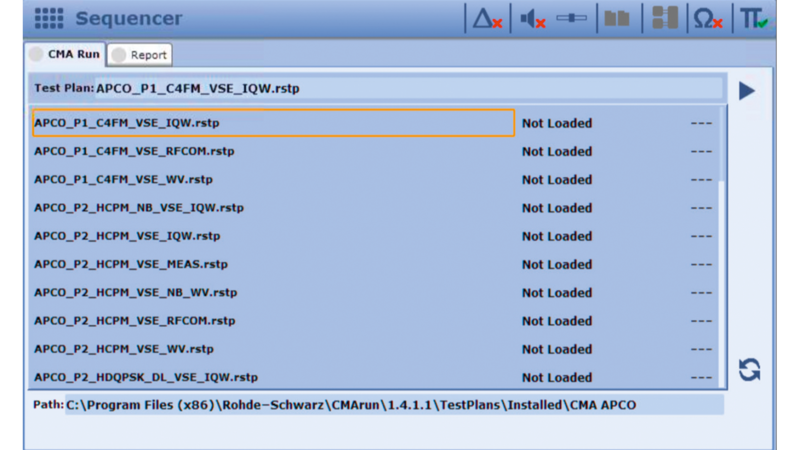 The R&S®CMArun user-defined sequence file can be saved and copied into the sequencer in the R&S®CMA180. This built-in sequencer lets users run the test setup at the press of a button. Such a setup is ideal in a production environment, giving operators an easy, foolproof way to test the devices.